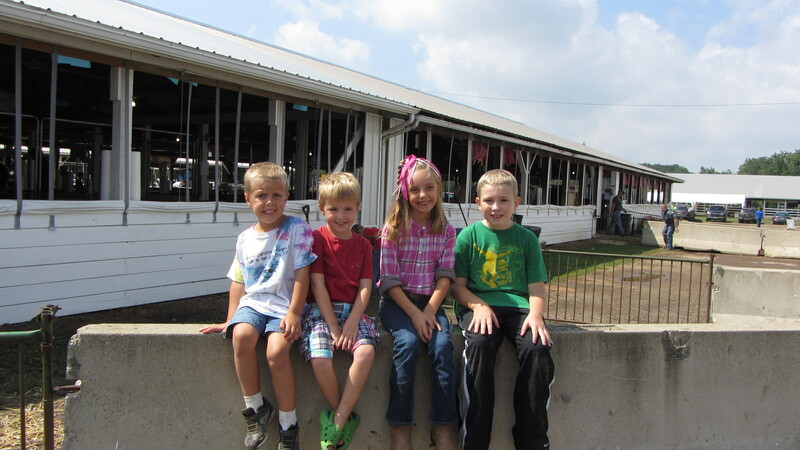 When you live in a small rural community, the county fair is a much anticipated event. 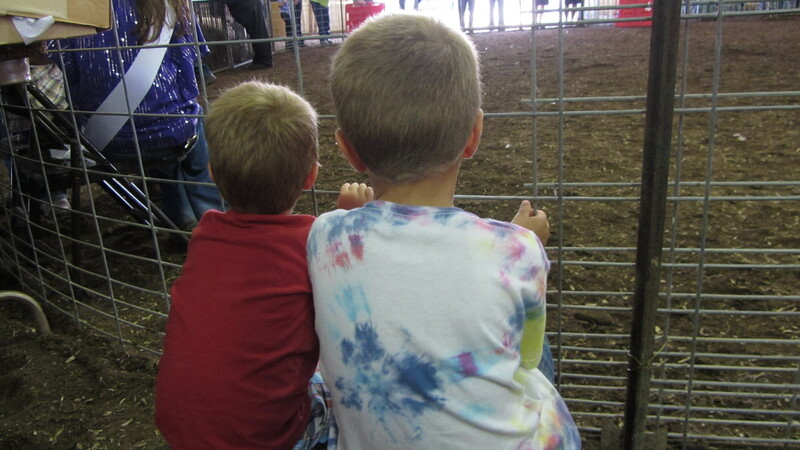 This year Grace was especially excited because she got to show her oldest cousin's pig in the open show. She wore her best cowgirl jeans, plaid shirt and cowgirl boots borrow from another cousin. I was so proud of her! 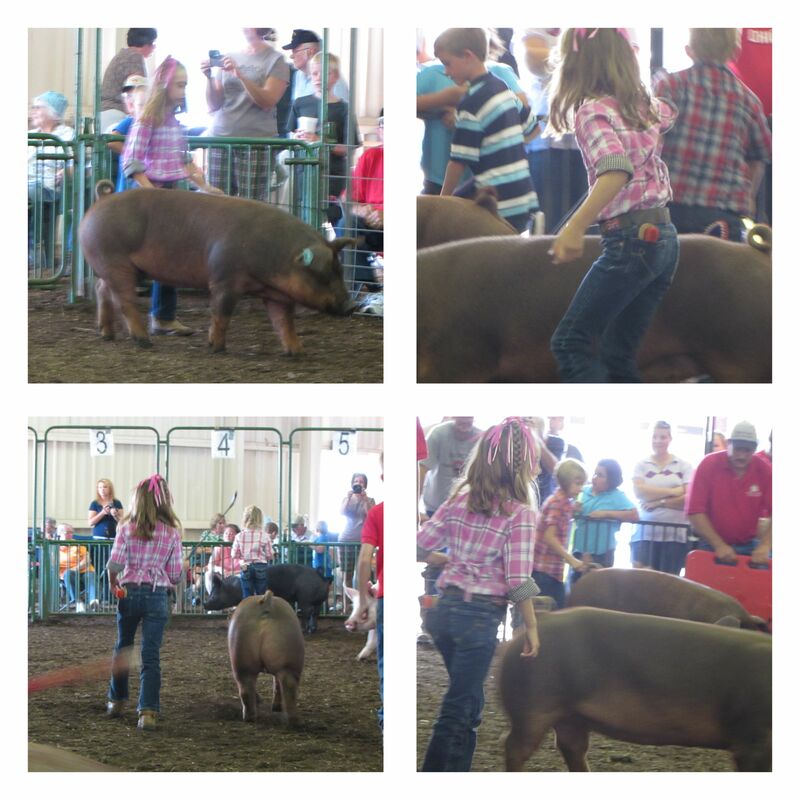 She wasn't intimidated by that pig at all. She now proudly displays her beautiful green and white participant ribbon in her bedroom. 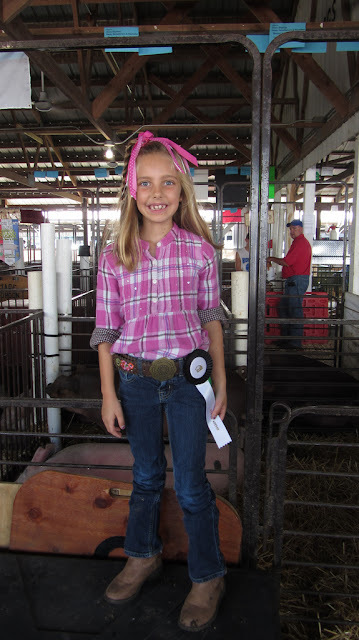 She is so excited to try her hand at 4H when she turns 9. There has been much debate about what type of animal she will take. Bunny, Duck, Goat.....we shall see!